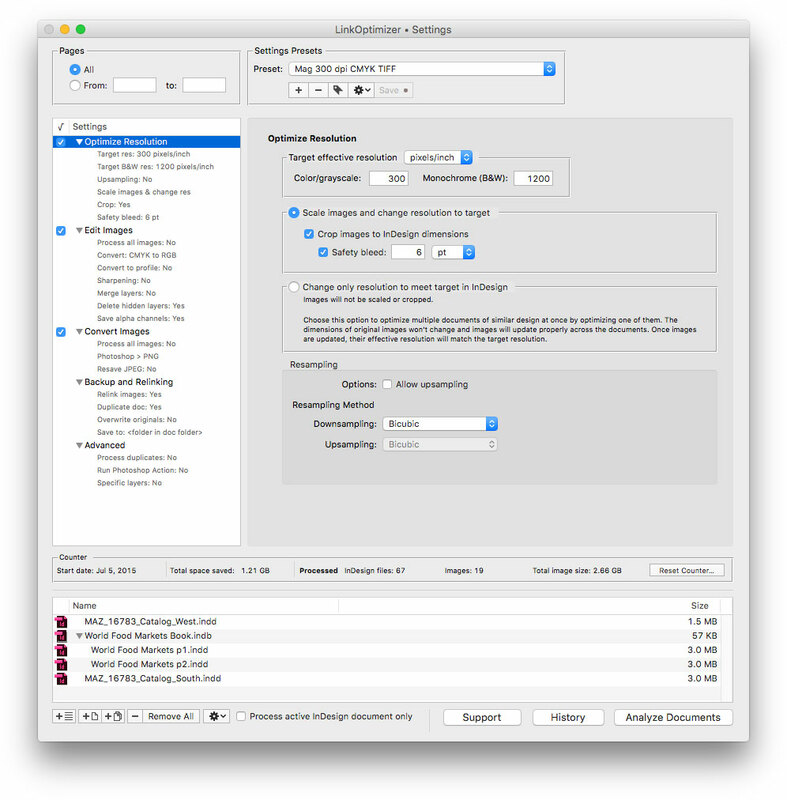 Toronto (ON), Canada - Zevrix Solutions today announces LinkOptimizer 5.2.19, a maintenance update to its image processing automation plug-in for Adobe InDesign. LinkOptimizer automates complex image manipulation tasks and allows users to reduce the size of InDesign links, save production costs, and easily repurpose InDesign documents for web and mobile devices. "LinkOptimizer has changed my life and saved me days and days of work as a retoucher for an international quarterly magazine," says Steve Krason of Chicago based SK Design Group. "It's a lifesaver".